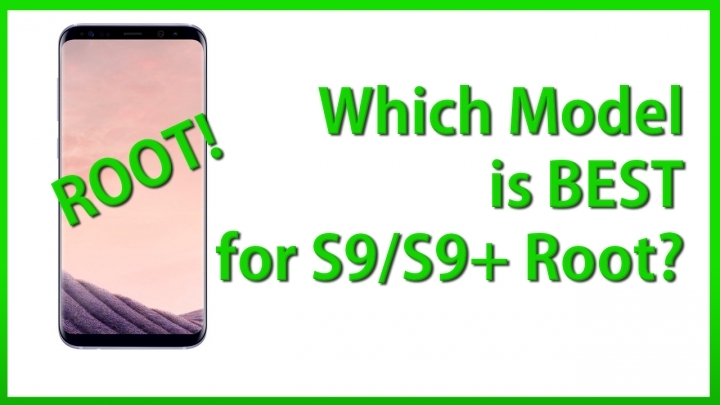 Which Model is Best for Galaxy S9/S9+ Root? In this video, I explain why you should buy the international Exynos model of the Galaxy S9 or S9+ so you can enjoy full root. UPDATE: You can now follow our guide on How to Root Galaxy S9/S9 Plus! If you want FULL root with ability to install custom ROMs, you will definitely want to go with an international/Exynos model, which comes with unlocked bootloader and easy to root. Qualcomm models (U.S. & Canada) ALL have locked bootloaders (even U.S. unlocked model) so stay away from them if you want to enjoy full root. Also, international models are GSM models, meaning you will need to be on a GSM carrier like AT&T or T-Mobile for U.S. customers. P.S. Currently prices are high because Galaxy S9 hasn’t been launched but after the launch the price should go below U.S. retails prices. If you want the best deal, wait a few weeks and buy when it is cheaper. Next story Galaxy S5 Android 8.1 Oreo Review/Install Guide!